Luang Por Ruean was the third Abbot of Wat Bang Hia, after the great Luang Por Parn himself, and was the first Looksit of Luang Por Parn, also followed by the great Luang Por Say, and Luang Por Nok, as his other two most famous Looksit. Insertion of Muan Sarn Sacred Powders can be seen visible on the base of the amulet. 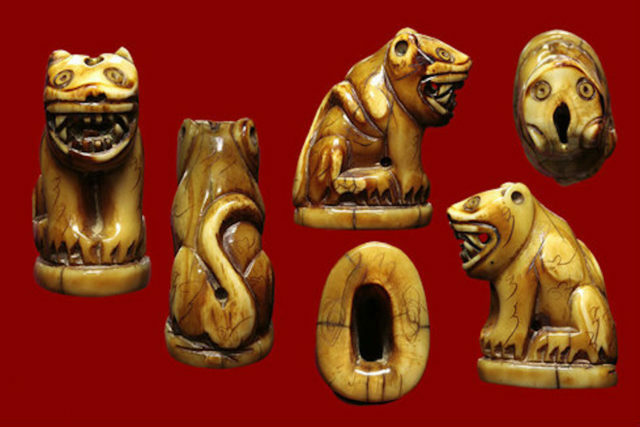 Luang Por Ruean's Tiger amulets are said to be the perfect first choice for those who seek a tiger tooth or tiger amulet from Luang Por Parn, whose amulets are now almost impossible to find, and probably the most expensive of all tiger amulets. 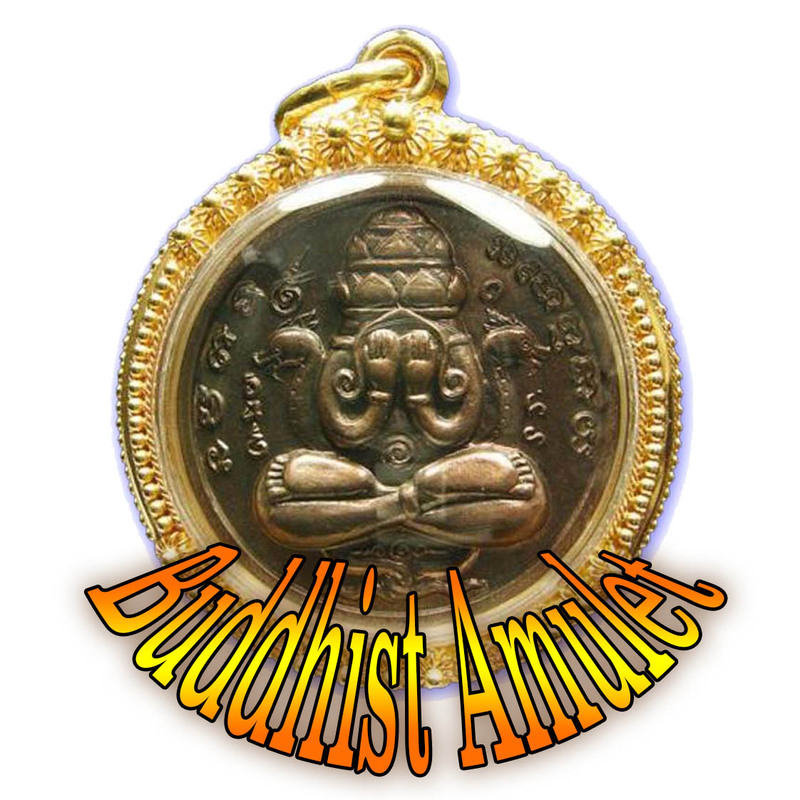 It is said that a Sorceror who makes and empowers an amulet with the Wicha Suea Maha Amnaj must have the highest level of Adepthood and Purity, for if not, then the Wicha can destroy the sanity of the Sorceror. Only few masters truly can perform the Wicha without endangering their minds, and must have the most powerful Practices Mastered, to control this Wicha, which has wild aspects to it that can overpower the mind. 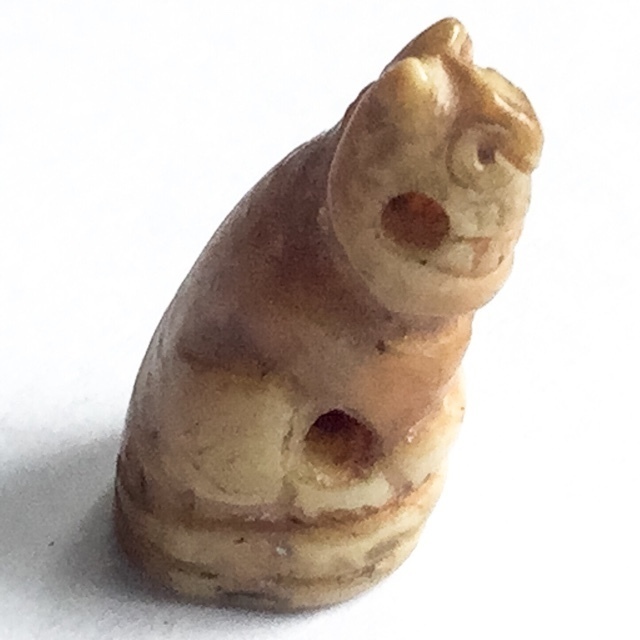 Luang Por Ruean made the tiger amulets using the precise methods of empowerment as his Kroo Ba Ajarn Luang Por Parn. Luang Por Parn was one of the Great Master Guru Monks of his Era (2368 - 2543 BE), and the originator of the Wicha for Tiger Amulet empowerment of this Lineage, using the Wicha of Wat Bang Hia. Wat Bang Hia is of course a World famous Historical Temple of Monumental Status in the Amulet Scene.